Just in time for Halloween, top filmmakers celebrate the arrival of the cinematic creatures that influenced them. Frankenstein's Monster (Boris Karloff) is among the classic Universal monsters returning to haunt the nightmares of a new generation of horror audiences on Blu-Ray. When it comes to having a long history of monstrous behavior in Hollywood, no one compares to the ghoulish, original terrors of Tinseltown. In “Universal Classic Monsters: The Essential Collection,” all eight of these iconic fright fests emerge in ever-sharper focus in their Blu-Ray debut, just in time for Halloween. And not only do the films offer a tremendous primer on the history of horror in pop culture, they provide a glimpse at the early visual and thematic influences of some of today’s most popular modern movies and filmmakers. Another visionary film director, Guillermo del Toro (“Hellboy,” “Pan’s Labyrinth”), has long proclaimed his love for old school monster movies, so much so that he kicked off a month long celebration of horror cinema at the Academy of Motion Picture Arts & Sciences’ Samuel Goldwyn Theater in Beverly Hills, beginning with an Oct. 2 screening of director Tod Browning’s 1931 “Dracula” starring Bela Lugosi, and director James Whale’s “The Bride of Frankenstein” starring Boris Karloff, Elsa Lanchester and Colin Clive. (The Academy’s screening series continues throughout October with films ranging from the 1928 silent “The Man Who Laughs,” comedy variations like 1948’s “Abbott & Costello Meet Frankenstein,” and latter-day re-imaginings like 1981’s “An American Werewolf In London”). Turek goes on to add that while some of the scares that once haunted the nightmares of audience members have been lessened over the course of time, the films still retain tremendous entertainment value. Others in the collection offer their own unique charms. “'The Wolf Man' is not a great movie, and a lot of people write it off, but I still love 'The Wolf Man' because it's about a guy who turns into a werewolf, and Lon Chaney Jr. is so terrific,” says Turek. “He delivers such an impassioned, angsty character turn as Larry Talbot. 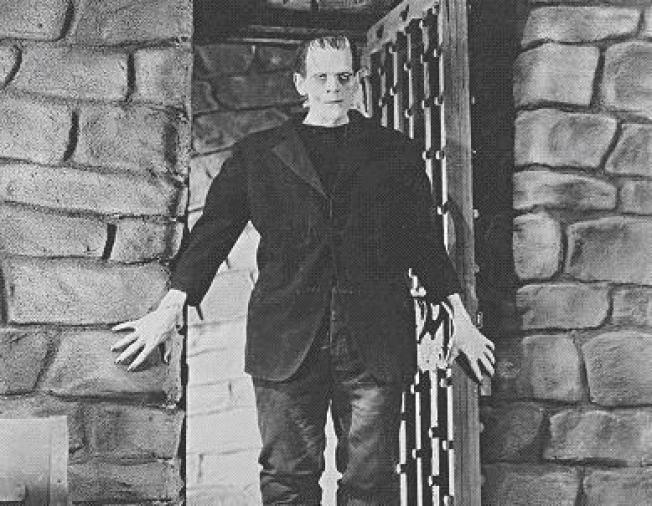 The legacy of the original films remains influential over the horror movies and television shows being produced today, from the don’t-mess-with-the-natural-order messages in “Frankenstein” and “Creature” to the love story elements that pervade “Dracula,” “The Mummy” and “Phantom of the Opera.” “Whether it's 'Twilight' or even The CW's 'Beauty and the Beast,’ that element of love and horror is still inherent in a lot of stuff that we're seeing today,” Turek says. “There are very few characters, maybe a dozen in film and literature, that even the people who have not seen the movies or read the books know who they are,” says del Toro. “I’m talking about Tarzan, Pinocchio, Sherlock Holmes – and Dracula and Frankenstein. You can use them almost as adjectives, to evoke an essence that everybody at the most basic level of world culture shares. Frankenstein and Dracula certainly are two of them. And the Creature from the Black Lagoon – the Gil Man – is a version of Beauty and the Beast or King Kong, in a way. Director Genndy Tartakovsky, whose CGI-animated film “Hotel Transylvania” had satirical fun with the well-established imagery of the classic creatures and scored the biggest September box office in history, says audiences still connect to the enduring power of the monsters.